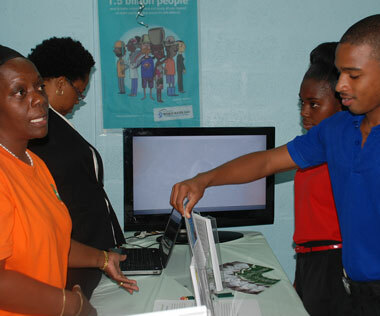 The Right to Decent Work: Pride, Industry and Productivity was the theme of the 2016 Barbados Youth Service (BYS), World of Work Seminar held over five days at the Training Room of the Ministry of Culture, Sports & Youth and the BYS, Warren’s headquarters. The programmed, organised by the Counselling Department, is the final preparation tool for the trainees after weeks of tutoring and counselling for their entry into the world of work. Trainees were engaged in role play interviews, construction of the resume and other needed skills in preparation for their work attachments. This year’s theme the Right to Decent Work: Pride, Industry and Productivity, was selected to recognize and build awareness about work as a right, but one that comes with responsibility. 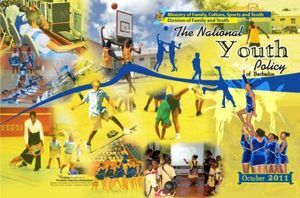 Pride, Industry and Productivity seek to acknowledge Barbados’ 50th anniversary celebrations and to encourage participants to be mindful of the privileges they have as citizens of Barbados. 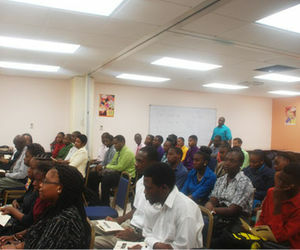 The One week seminar ended with a career showcase at the Warrens headquarters. 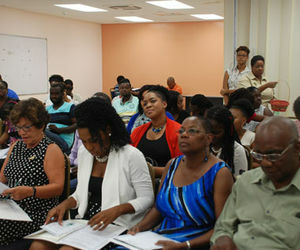 It featured representatives from several organisations including, the Barbados Prison Service, the Barbados Water Authority, the Barbados Fire Service, the Queen Elizabeth Hospital Records Department, Environmental Health Department, The National Conservation Commission, the Royal Barbados Police Force and the Barbados Coast Guard among others. Trainees gained valuable information on career requirements and many keenly questioned the representing personnel who readily answered their queries and offered career advice. Caption: NCC staffers teaching plant propagation and plant care processes to BYS trainees Kayla, Raheed, Destinee, Akeem, Shanice and Joel.